Summer is in full swing and we at Epic are happy to announce that the Marketplace Summer Sale is happening right now! 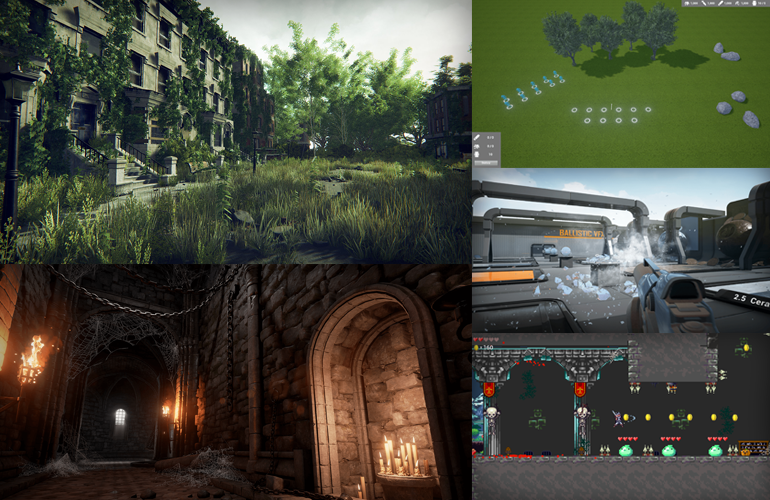 Starting in August and continuing into mid-September, you can expect to see five different themed genres that aim to provide awesome resources for your current or future UE4 project. The Summer Sale is no slouch, either, as it will see you saving up to 75% on amazing Marketplace items such as 2D Desert Pack Handcrafted, Zombie 1 Model + Animation and Generic Shooter. Nearly 50 items will be discounted throughout the sale, so be sure to check back often to discover something new. With savings on many types of starter kits, props, sounds and VFX, we're breaking down each week of the Summer Sale by theme to bring you deals you've been waiting for from a range of talented creators. FXVille Blood VFX Pack by FXVille Inc.
Each week a new sale will begin at 12PM EDT on the dates listed above, so be sure to mark your calendars! You can always check out our ongoing sales for even more content at special prices. We hope you enjoy adding to your collection! Enjoy the rest of your summer and please let us know if you have any feedback.